AFTER twice being crowned Miss Showgirl, Cheneya Vetter feels ready to step up into a new role that will see her representing a town and an industry she loves. This year, Ms Vetter is entering the Charleville Show as a rural ambassador, and hopes to be selected so she can use the role to educate youth about all things rural. 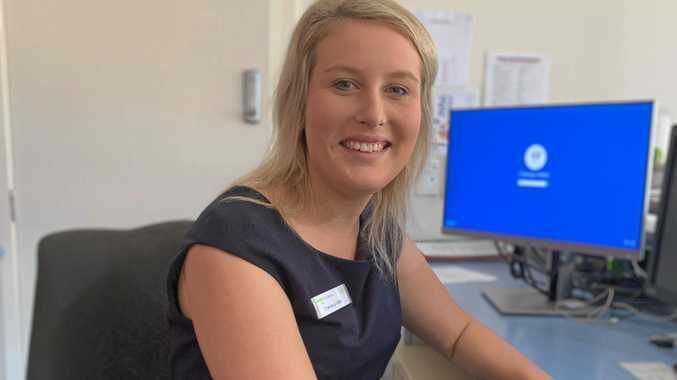 "If I was to be selected to represent Charleville as a rural ambassador, my role would be to encourage youth in the agricultural show movement, and highlight the importance of our local shows in our rural, remote and regional communities,” she said. "At the local show I would be a friendly face promoting our youth and a role model to the next generation. "My goals are to bridge the gap between rural and regional communities through education at shows and at schools. "I think it is important to have programs to educate the next generation on where their milk comes from, the effort and care into growing our vegetables, and how many farmers went into making something as simple as a coffee. Ms Vetter runs her own beef cattle stud within her family's property, and breeds Square Meaters for high-profile shows including Beef Week, and the Toowoomba Royal Show. The Charleville Show runs from May 16-18.